Welcome to Ringside News’ coverage of WWE Monday Night Raw, less than a week away from WWE Survivor Series! Tonight’s show is the final run-in to Survivor Series and, as such, will see Alexa Bliss choose her team for the show. Even though Bliss cannot compete at the event, she serves as Raw’s Team Leader. Will Bliss be somewhat neutral and choose the likes of Sasha Banks and Bayley? Or will she be a full heel and choose her besties? We’ll find out soon. We also don’t know the full Raw men’s team for this year’s show, with two spots remaining on Baron Corbin’s team. Who will he choose? Someone like Finn Balor seems unlikely, so let us know who you think the GM will pick! Elsewhere on tonight’s show, Stephanie McMahon returns to address the controversy surrounding the World Cup Tournament at Crown Jewel – which Shane McMahon won after stepping in for The Miz. Stephanie surely won’t be happy about how things went and maybe she’ll even throw Dolph Ziggler under the bus for losing to Shane. Regardless, it will be entertaining! And lastly but not leastly, The Beast returns to Monday Night Raw with the Universal Championship around his waist. It’s hard to believe Lesnar is wrestling AJ Styles this Sunday, but that’s because Crown Jewel was only two weeks ago and screwed-up the entire build for Survivor Series. Regardless, Paul Heyman will likely have some choice words for Styles tonight! That’s the preview for tonight’s Monday Night Raw! 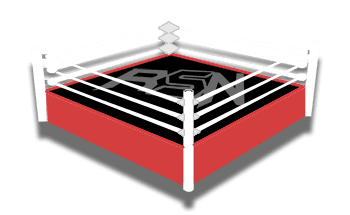 Let us know what your thoughts are, follow us on Instagram, and download the Ringside News app! Until then, enjoy the show!